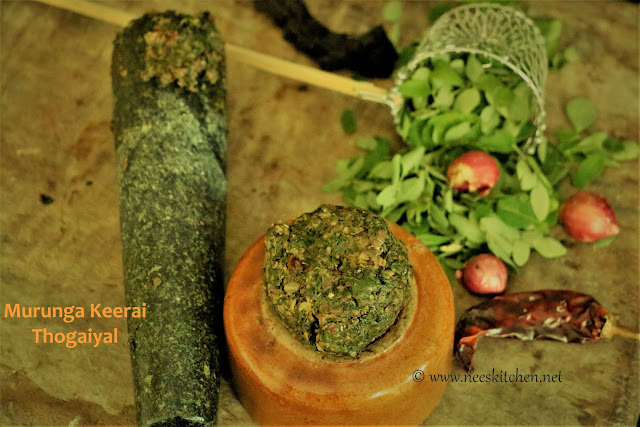 Today’s post is with Iron Rich & Diabetic Friendly Moringa Leaves or Murunga Keerai. Off late, many of them have started to buy them due to its immense health benefits, so I thought I should start putting some varieties with this leaf. Murunga Keerai Thogaiyal or Moringa Leaves Chutney is one such variety. 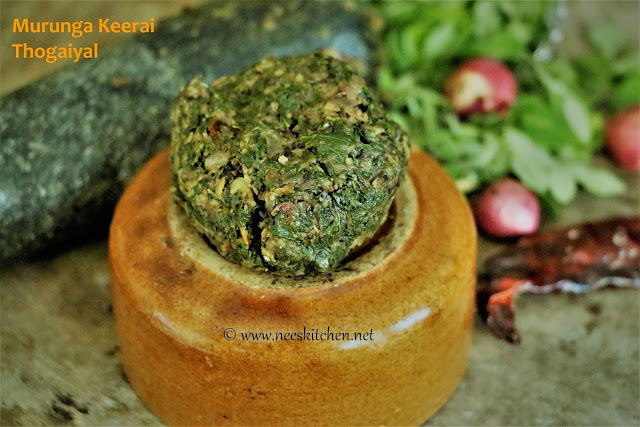 In this recipe I had used claypot and soap stone mortar and pestle to make it healthier. 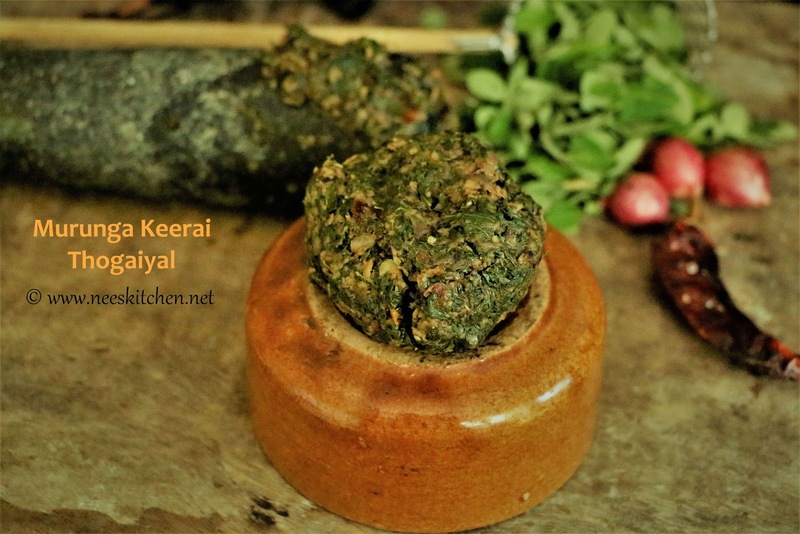 In fact, I never had the idea of using the mortar and pestle for chutney’s but since my mixer is spoiled and I do not have service center for my mixer in Singapore I had to use mortar & pestle. However, after using mortar and pestle I felt it was good that my mixer is not working as the taste is totally different and more flavorful. I had also used black urad dhal which I happened to buy in Little India few weeks back. You can replace it with regular white urad dhal. 1. Wash the moringa leaves and remove the stem. Take 1 cup tightly packed for this recipe. 2. Take a claypot and add 2 tsp oil. 3. Once the oil is hot add hing powder. 4. Add Black Urad Dhal and fry for 2 minutes. 5. Add small onions and fry them for 2 minutes. 6. Add Moringa leaves, salt and fry for 3 – 4 minutes until they are cooked completely. 7. Add tamarind and allow this mixture to cool down. 8. Take a mortar and pestle and grind the cooked ingredients to a fine paste. Do not add any water so that they would stay for a longer period. 9. Serve with rice, idly & dosa’s. 1. Grinding in mortar and pestle gives better taste and texture when compared to mixer. However if you do not have them you make use any mixer. 2. Do not add water and grind them coarsely for better taste.